There are few leisurely pursuits more relaxing than lounging by a tropical pool on Saturday mornings. 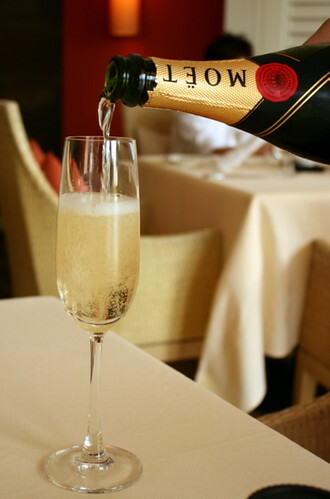 What makes this indulgence even more luxurious is an Italian brunch with free-flow champagne and wine. Dolce Vita at the Mandarin Oriental Singapore started offering in Feb 2009 an à la carte brunch buffet with creations by Michelin-starred Chef Marco Pedrelli. Yes, I did say champagne. Moet & Chandon, as much as you please. The table next to ours also had red and white wines, so theirs was a symphony of glassware. 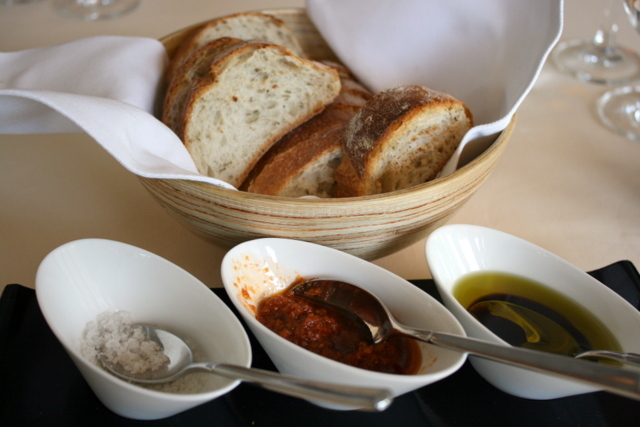 Rustic crusty loaves, served warm, with three condiments - coarse sea salt, tomato pesto, and extra virgin olive oil with balsamic vinegar. These were refillable and delicious. 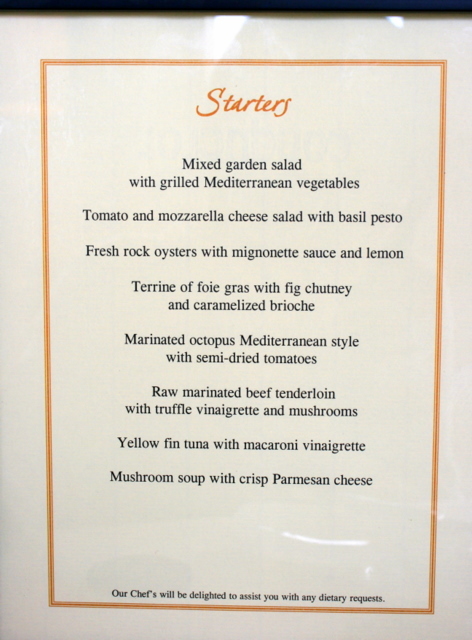 The starter menu offers many choices. Our server Deepak wisely suggested that we let the chef bring us his specialties. 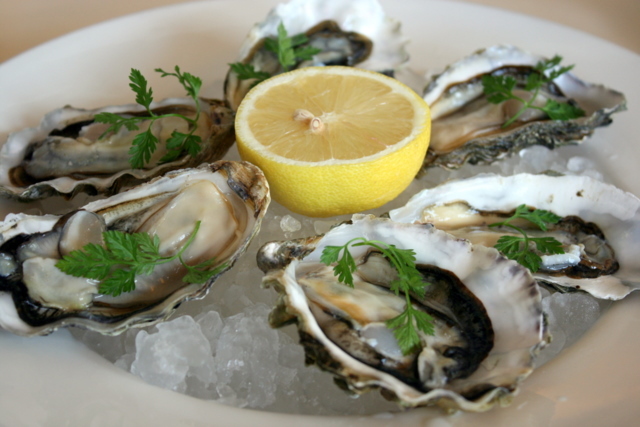 I was glad to see they included a large platter of freshly shucked rock oysters with mignonette sauce and lemon. Hubby who normally steers clear of oysters, braved one and said it was really good. He quite obviously meant it, as he took another two. 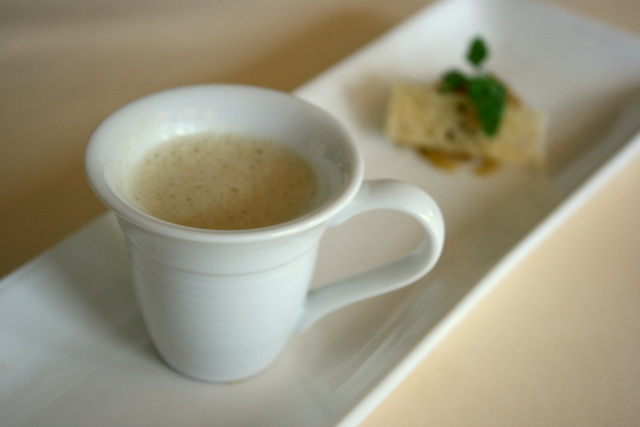 A very warm Mushroom soup with crisp Parmesan cheese. This is almost my favourite out of all the items here. It looks so tame and simple but the impact on the tastebuds is incredible. One of the rare moments when food makes you go "Wow!". Good mushroom soup is hard to do well, but they've done it here. Best of all - no spoon required! Raw marinated beef tenderloin with truffle vinaigrette and mushrooms. 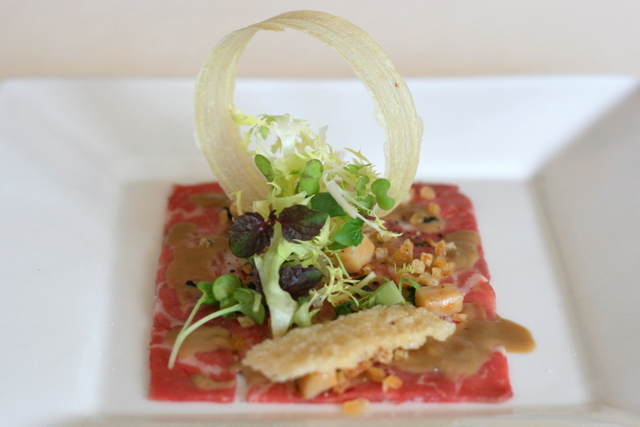 Fans of beef carpaccio will rejoice! 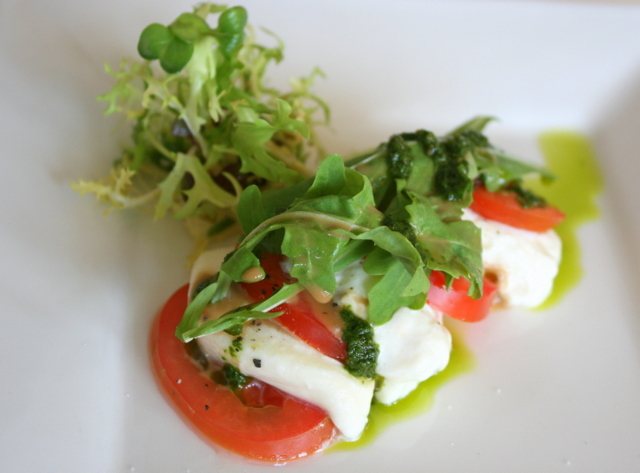 Tomato and mozzarella cheese salad with basil pesto. Simple but refreshing appetiser. 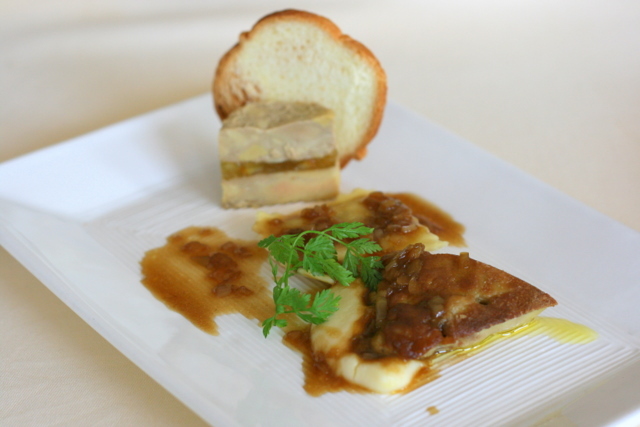 Terrine of foie gras with fig chutney and caramelized brioche. This also came with a pan-fried slice (foreground). This is stronger-tasting foie gras than the one at MELT's Sunday Champagne Brunch. It's also firmer in texture. Grilled shrimp and asparagus. This was a little "surprise", one of several complimentary dishes that came by. I love shrimp, and I love asparagus, so this was a delicious little combo. The main course menu too has something for everyone. 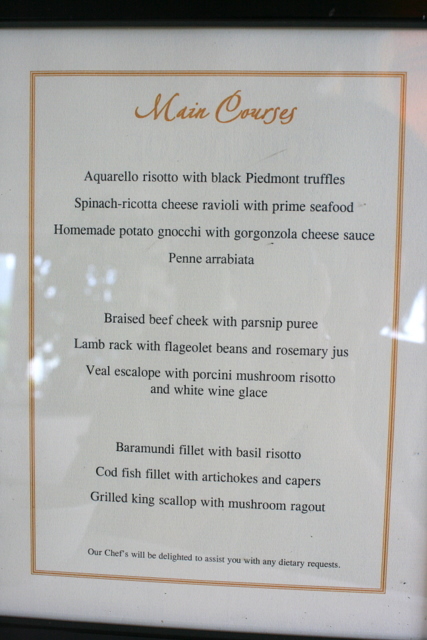 Several "primo" pasta and risotto dishes, as well as "secondo" meat and fish courses. 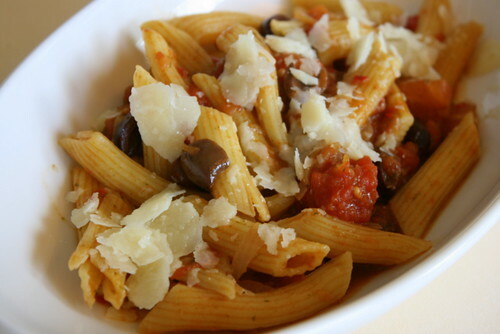 The Penne Arrabiata surprised us because it was rather watery, but the unusual flavour worked very well. More rustic than spicy. I can believe this was some grandmother's special recipe. This was the only dish we went for as a full portion. The other mains we requested tasting portions only, as I wanted to photograph more items. Spinach-ricotta cheese ravioli with prime seafood. 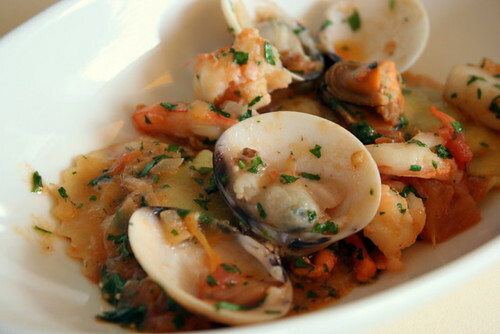 A generous scattering of seafood over the very al dente ravioli. This is really filling, and I can't believe this is just a tasting portion. You get double the amount for the full portion, apparently. 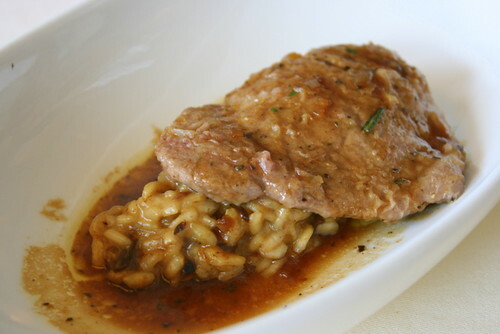 Veal escalope with porcini mushroom risotto and white wine glace. Finally, some al dente risotto in Singapore! 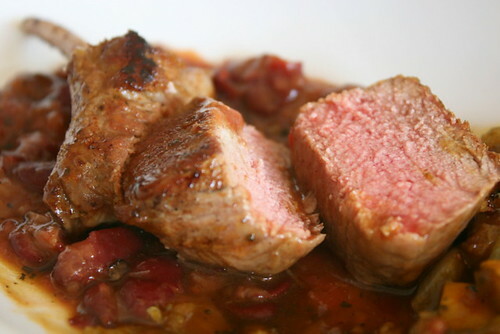 The sauce is beautiful, and the veal tender. 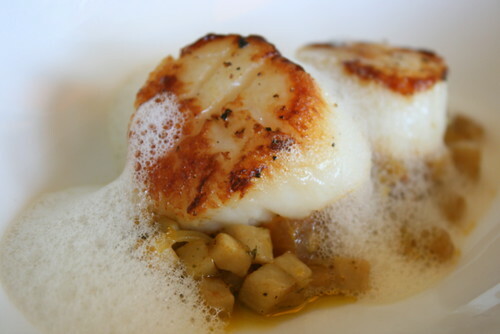 Grilled king scallop with mushroom ragout. 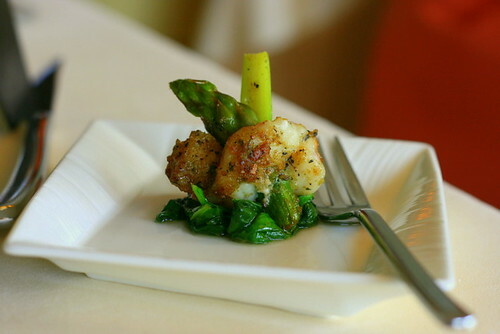 Exquisite scallops! I could just have lots of this and be happy. Lamb rack with flageolet beans and rosemary jus. Very meaty and lean. The beans complemented the lamb well. Cod fish fillet with artichokes and capers. Artichokes may be an acquired taste but these were well-handled. Just a faint hint of salty and musky to go with the gently seared cod fillet. Capers added zing to the dish. 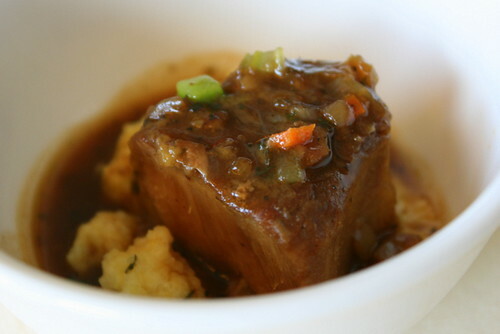 Another palate pleaser - the osso bucco, another complimentary snack. Some people may find this a bit gamey, but I thought it was very well-executed, like a good brisket. Desserts at last. 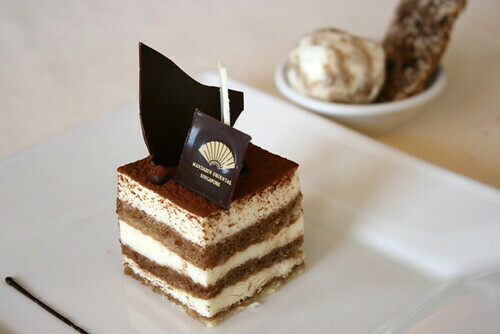 I absolutely LOVED the tiramisu. It's served with a scoop of almond coffee and tiramisu ice cream (which are fantastic on their own too). Hubby agrees this was top notch. 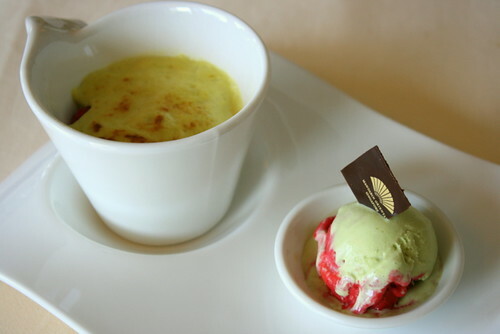 Our server recommended the "Pistachio sabayon gratinated forest berries with pistachio ice cream and raspberry sorbet". At first taste, this fragrant green custard gave us a jolt. It reminded us of "kaya" - the local coconut egg-jam. Then the pistachio flavour came across, slowly. 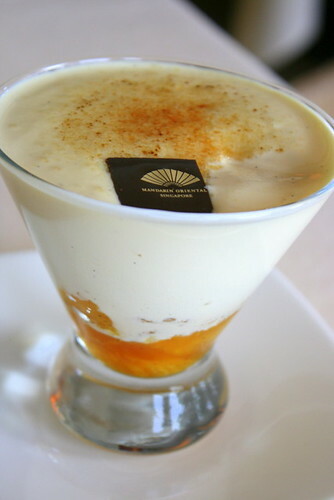 The gratinated fruits are at the bottom of the cup. We loved the pistachio ice cream and raspberry sorbet - a tango made in heaven. That was the real star, we felt. I was curious about the "Caramelized vanilla foam with marinated citrus fruit ragout". How do you caramelize foam? Ah, turns out it's a really thick froth, and it's not unlike a creme brulee. Not bad. The citrus confection made it complete. This scoop of vanilla sorbet came with the caramelized vanilla foam. 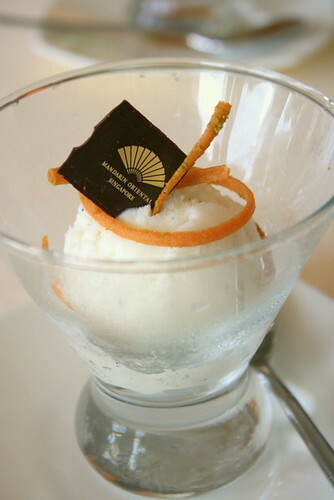 Hubby didn't think vanilla worked as a tangy sorbet, but I think it grows on you. It's unusual, at least. There are other desserts we did not have room for - red wine poached figs, variations of Valrhona chocolate, homemade ice cream (Tahitian vanilla, stracciatella, limone and Piedmont hazelnut). Ambiance at Dolce Vita is casual yet classy (note the smart casual dress code: no slippers or shorts, please). It's a pleasant place to bring friends, family or even a romantic date. There is a lot to try at this champagne brunch, and it cleverly does not compete with the one at MELT (which is on Sunday). It certainly is a change from the many international feasts or dim sum buffets around town. The Dolce Vita Italian brunch runs a leisurely three and a half hours from 11.30am until 3.00pm every Saturday. 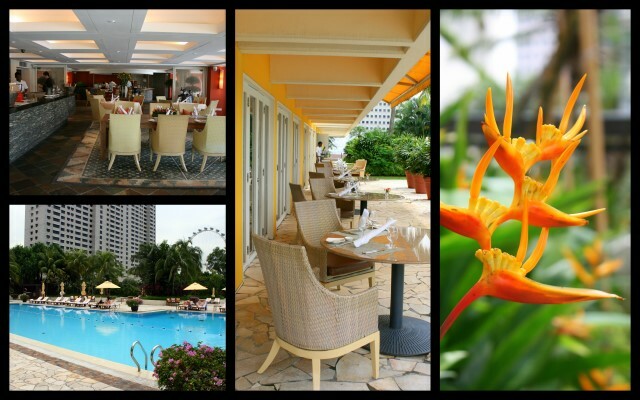 It is priced at S$88++ per person inclusive of free-flow juices and soft drinks; S$118++ per person inclusive of free-flow champagne, wine, beer, martinis, juices and soft drinks; and S$288++ per person inclusive of free-flow Dom Perignon champagne, wine, beer, martinis, juices and soft drinks. Menu items may also vary from time to time. Greatest appreciation again to Kelly Tan of the Mandarin Oriental Singapore for making this happen. This actually looks very good. 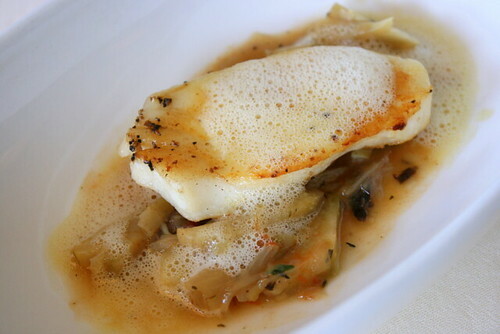 Hi, just curious - what was the foamy gravy for the cod fish? ah so unlike melt, this one is ala carte buffet, where u order a few from each section? How many main course can one person order? Starters and desserts no limit? I like the way you photograph your food. What mode do you use on your DSLR? Aperture or Macro or something else? They always look so crisp and clear. I can tell there is no flash used too...maybe I am wrong? Zitrone: lol, you've been doing too much dishwashing! Laundrygirl: it's not stated in the menu, and I didn't ask, so I'm not sure what the foamy gravy is. Not soapsuds for sure! LIC: Yes, unlimited starters, main courses and desserts (see, I took so many). And yes, quite different from MELT, this is a totally sit-down and be served affair. :) See ya! Kate: You are right, no flash is used. For this post, I switched between my kit lens and the 50mm lens (the latter is good for low light situations, but does not have Image Stabiliser, so it's prone to camera shake). Mostly using Aperture and the auto "P" program setting! My camera doesn't have Macro though (sigh).